The Proporta Travel Survival Kit includes some essential gear that you should bring with on your next trip to ensure all your gadgets have power. The Proporta Device Charger is also great as an emergency charger which can be recharged from any USB port. 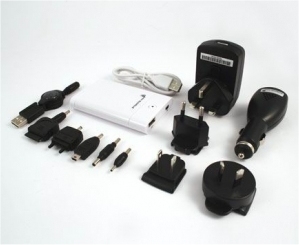 The Kit includes the popular USB Mobile Device Charger, which is a USB Rechargeable Battery that ensures you always have extra power with you on your flight, on the train, in the airport, at a client – so you always have a backup. Just plug your USB-powered mobile device such as a smartphone, iPod, or digital camera into the battery’s standard USB port to recharge. 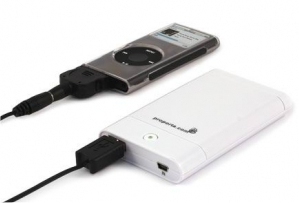 The charger is very compact and light – measuring 3.9″ x 2.4″ x 0.6″ and weighing 4.2 oz. The charger holds as impressive 3400 mAH storage, or enough juice to recharge your devices several times. 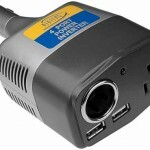 You can also charge on the move with Proporta’s Car Power Supply with USB port and AC Travel Charger for use in Europe, USA, and many other countries. 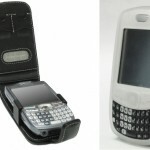 The kit also comes with a retractable cable and 5 inter-changeable connector heads including: 2 x Nokia, 1 x Sony Ericsson, 1 x Mini USB, 1 x iPod.